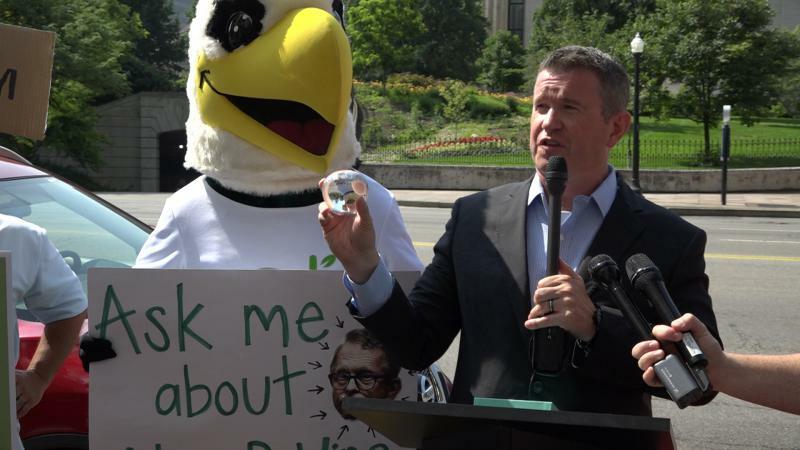 Former Rep. Steve Dyer, now with the progressive think-tank Innovation Ohio, holds an ECOT-branded Tiffany paperweight next to ECOT's mascot at a press conference Monday. 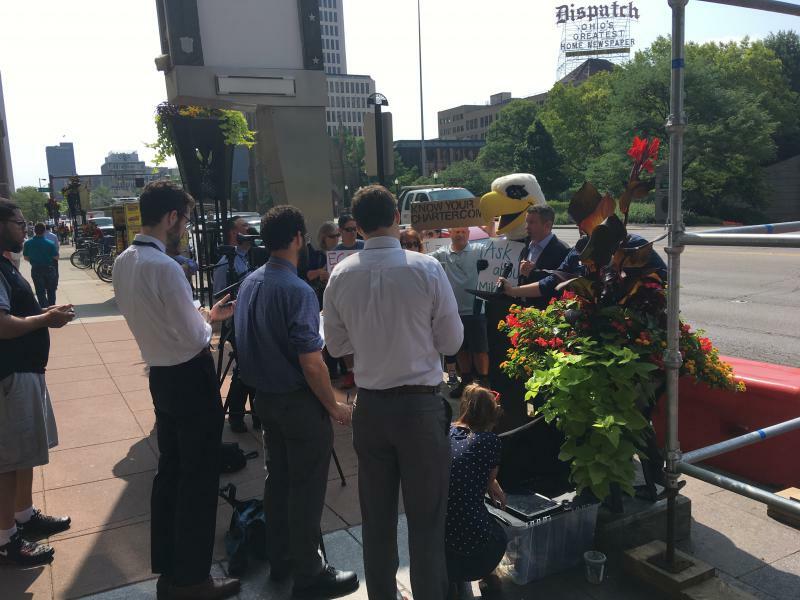 The paperweight and mascot costume were auctioned off last month after ECOT closed. Democrats have been blasting Republican Attorney General and candidate for governor Mike DeWine for not doing more about the multi-million dollar scandal involving the Electronic Classroom of Tomorrow, the now-closed online charter school. But Republicans are pushing back. 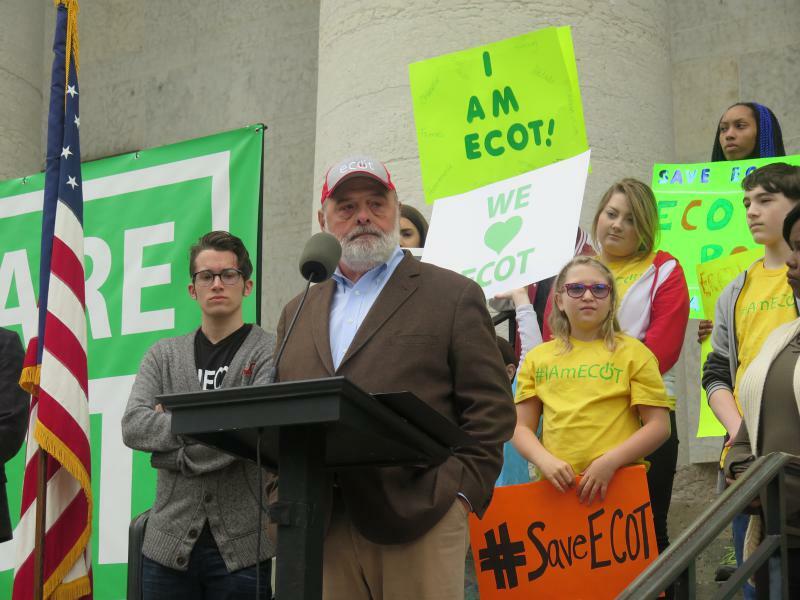 A finding from Republican Auditor Dave Yost that ECOT submitted fraudulent student data to the state was turned over to federal prosecutors and the Republican Franklin County prosecutor. Yost, a former prosecutor running for attorney general, said that’s because prosecutions happen locally. “So when Attorney General DeWine says he has no jurisdiction, he's just stating what is a well-known legal fact and frankly shame on the people that are on the other side that know better," Yost said. But Rep. Tavia Galonski (D-Akron), a former Summit County magistrate, disagreed. “Ohio law gives the Attorney General broad powers for bringing criminal charges against entities that misuse public funds,” Galonski said. Galonski asked DeWine to appoint a special prosecutor to look into criminal charges regarding ECOT. DeWine has appointed outside counsel to handle the ECOT case. The Ohio Attorney General has filed an argument in court claiming ECOT’s agreements with its management and software service companies constitute a pattern of corrupt activity. The claim echoes complaints Democratic lawmakers have lodged for years. 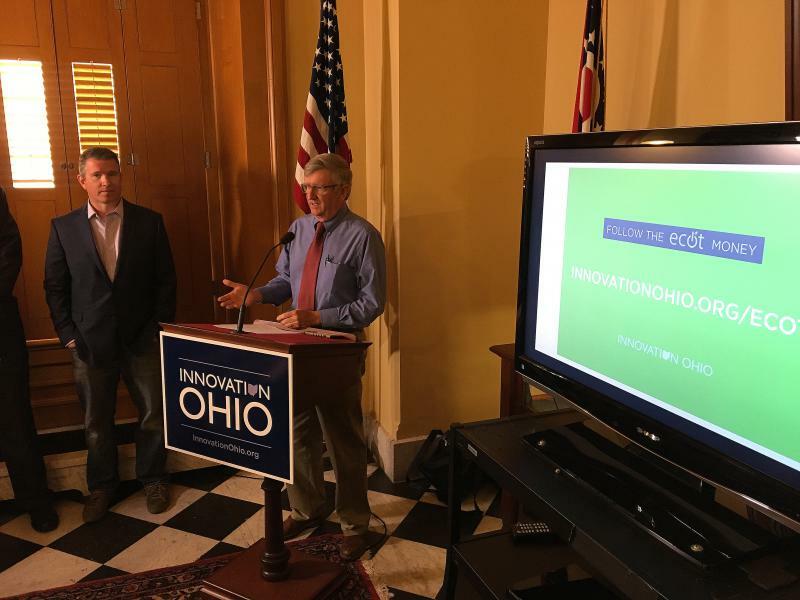 Education advocates held a small rally outside of Attorney General Mike DeWine’s office, calling for him to investigate the now-closed Electronic Classroom of Tomorrow. Democrats are trying to connect the Republican gubernatorial nominee to the online charter school scandal. But there’s a back-and-forth on the ECOT debate that will likely last the entire campaign season. 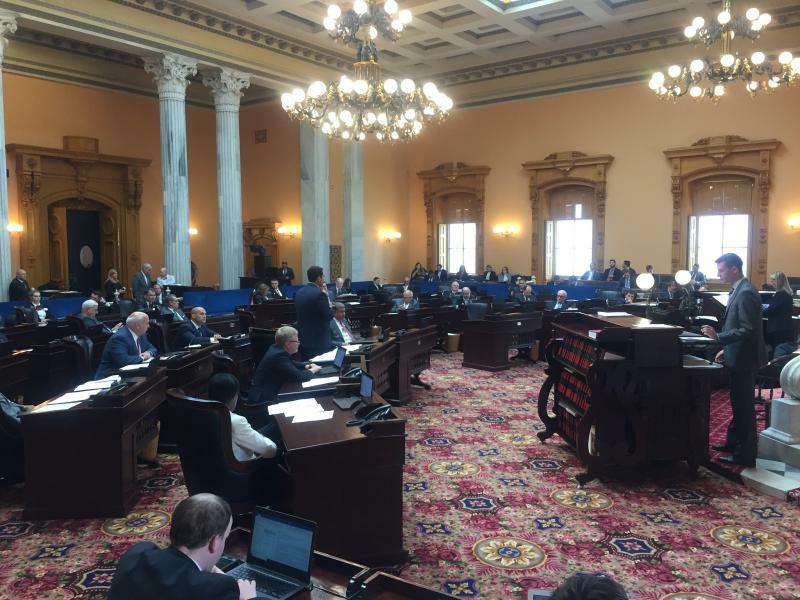 The House and Senate sent two bills to the governor that attempt to clean up funding for the state’s online charter school system. Lawmakers from both sides of the aisle believe this is an important step toward more transparency and accountability. A progressive think tank says data from the Ohio Department of Education’s website shows not only how much state money went to the now-closed Electronic Classroom of Tomorrow, but also how much traditional public school districts lost to what was the state’s largest online charter school.